The solo exhibition, Ngā Hau E Whā – The Four Winds by Leilani Kake has emerged from a period of over six years of creative collaboration with curator and artist Ema Tavola. Graduates of Manukau School of Visual Arts and residents of the Otara-Papatoetoe area, the two have collaborated on numerous projects that have taken place locally, nationally and internationally. 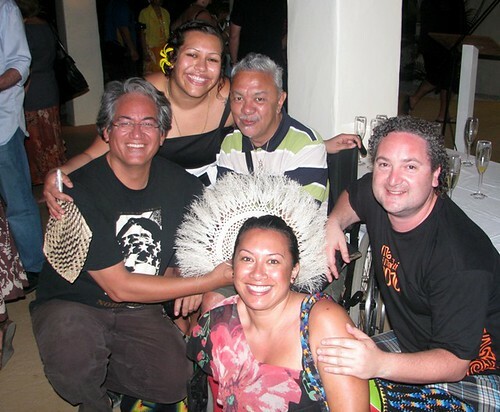 Leilani and Ema first worked together on South Contained Unit, a one-night-only multi-media event in the Otara Community Courtyard in 2004. 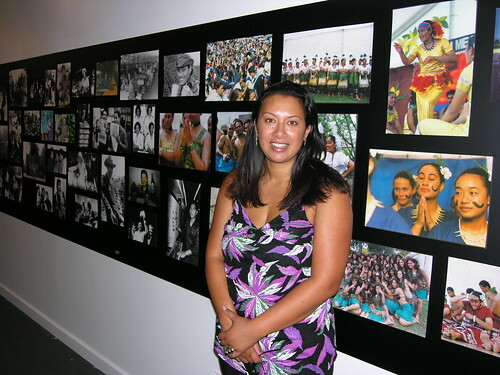 Ema was project managing for the organisation, Wahine Malosi at the time time; the event featured local artists from a range of disciplines from beat boxers to fashion designers, aerosol artists to video installation and contemporary dance. Leilani developed a video performance work called Te Kirihaehae / The Cutting of the Skin about the then current debate over the ownership of the seabed and foreshore in Aotearoa New Zealand. The performance was set on two-tonnes of sand and featured multiple projections and a haunting performance. When Fresh Gallery Otara was opened in 2006 as an arts facility of Manukau City Council, Leilani was deeply involved with the community consultations that set the foundations for the Gallery, including the name. She was involved in the Gallery’s launch exhibition and went on to feature in several survey exhibitions of art produced in the Otara / South Auckland area. Ema has managed Fresh Gallery Otara since 2006 and curated many of its shows. The exhibition, (Re)Locating Home curated by Ema in 2006 was developed to coincide with the Vaka Vuku: Pacific Epistemologies conference at the University of the South Pacific in Suva, Fiji. It showed at the Alliance Francaise (Suva) and then at Fresh Gallery Otara. The exhibition featured Leilani’s 2005 video isntallation, Talking Tivaevae alongside multimedia works by Elisabeth Alani, Vinesh Kumaran, Dean Purcell and ‘Ahota’e’iloa Toetu’u. Later that year, they collaborated on a ‘live art project’ at Fresh Gallery Otara called What’s Going On inspired by the fatal beating of Riki Mafi in the Otara Town Centre. The exhibition aimed to reflect the current climate, stimulate discussion around violence and the social environment. 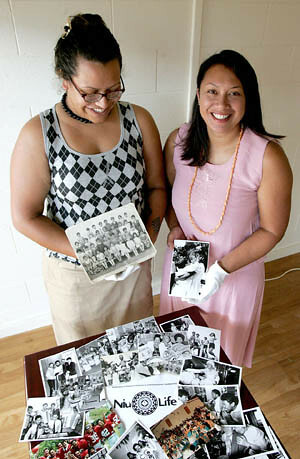 In 2007, Ema and Leilani collaborated on the project, Niu Life: Manukau’s Pacific People, a photographic narrative made of photographic contributions from Pacific families in the Manukau area. It was shown at Mangere Arts Outreach Centre and Fresh Gallery Otara and supported by the Pacific Island Advisory Committee of Manukau City Council. 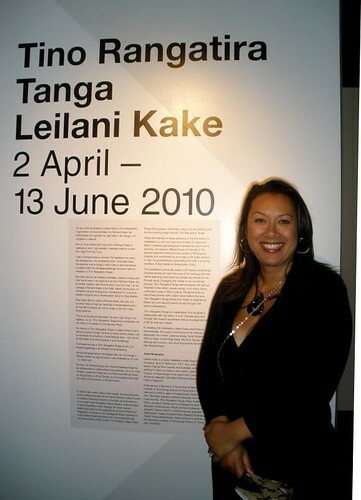 Later in 2007, Leilani curated the exhibition, Ka’apai nuku, Ka’apai rangi – Lift the universe, lift the heavens featuring her own work alongside works by Cook Island contemporary women artists Nia-val Ngaro, Nooroa Tapuni and Veronica Vaevae. Leilani’s work, Ariki was first presented at Fresh Gallery Otara at this time and went on to be shown at MIC Toi Rerehiko (Auckland) and Kaohsiung Museum of Fine Arts, Taiwan. 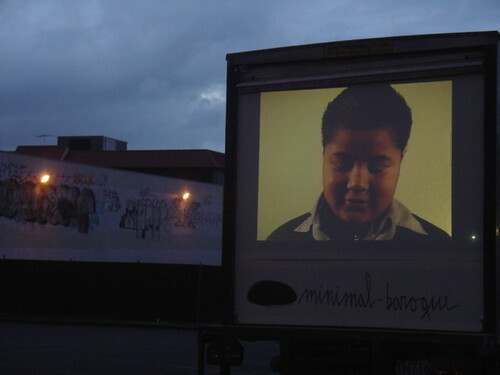 In 2008, the exhibition Meat & Lollies co-curated by Ema and Janet Lilo for the Manukau Festival of Arts featured Leilani’s 3-channel video installation about the passing of her father, Richard Kake. 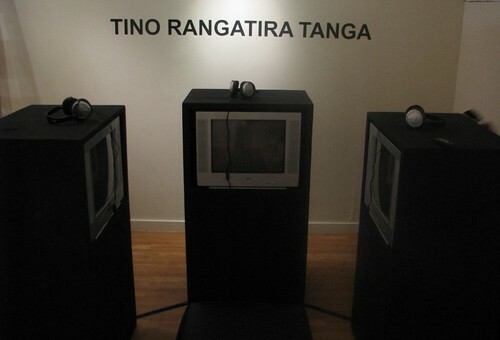 The work, Tino Rangatira Tanga went on to be shown in two solos at Corban Estate Arts Centre (Auckland) in 2009 and the new Deane Gallery at City Gallery Wellington in 2010. 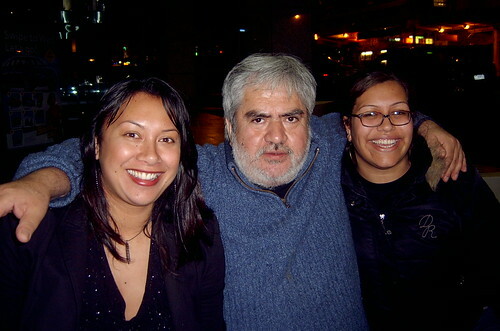 In 2009, Leilani and Ema traveled to California and Hawai’i with curator, Giles Peterson to undertake a lecture series. They delivered papers at UC Santa Cruz, UC Berkley, the College Arts Association conference in Los Angeles and Marks Garage, Honolulu. Leilani also presented a performance at the de Young Museum of Fine Arts in San Francisco entitled, Get Up Stand Up and both presented works in the exhibition, Pan Pacific Nation at Marks Garage, Honolulu. Leilani’s travel was supported by the Pacific Arts Committee of Creative New Zealand and Ema’s by Manukau City Council and the US Embassy. In 2010, Leilani developed a new work for the exhibition, Native Coconut at Fresh Gallery Otara, curated by Ema to acknowledge Matariki – Maori new year. The exhibition featured works by three women artists who share both Maori and Pacific Island ancestry; alongside Leilani, the exhibition presented new works by Margaret Aull (Fijian / Maori) and Cerisse Palalagi (Niuen / Maori). 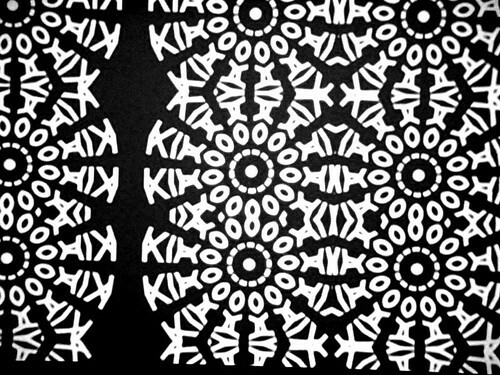 Leilani’s work, Kia ora 2 Kia orana was a video using text and kaleidoscope editing tool to form evolving patterns. The work was later included in manu toi; artists and messengers curated by Nigel Borell to mark the opening of the new Mangere Arts Centre – Nga Tohu o Uenuku. Along the way, Leilani and Ema have also collaborated with visiting international artists Alwin Reamillo on Paraoaotara: The Manu(Kar) Whale Project (2005) and Juan Castillo on Minimal-Baroque, a social enquiry / video / installation project (2006). Both artists undertook residencies at Manukau School of Visual Arts. 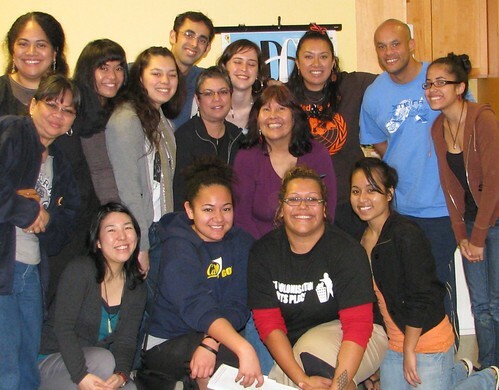 Leilani and Ema have also traveled to the 10th Festival of Pacific Arts in Pago Pago, American Samoa (2008) and the Pacific Arts Association Symposium in Rarotonga, Cook Islands (2010). Around the World in 80 Galleries: A Pacific Art mega-art-trip with Turkey, Jamaica, New York, Canada, Indonesia, Egypt and South Africa on the wish list.